Submarine combines the powerful meshing capabilities of Harpoon with solvers such as OpenFOAM and Fluent, to produce an extremely simple environment for meshing, solving and visualising the most complex CFD problems. 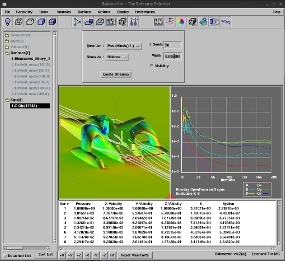 Once the mesh has been generated, boundary conditions for the model, along with solver setup such as turbulence models and parallel settings, are achieved with extreme ease. Solver choice is achieved at the press of a button. 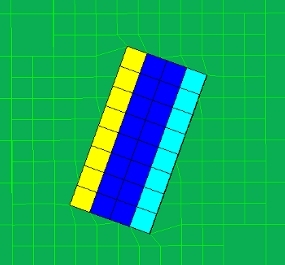 The solution is interactively monitored by residuals, surface contour plots and clip planes allowing the user to "watch" the solution evolve. Iso-surfaces, streamlines and vortex cores are available once the solution has finished, all as fully interactive entities in an extreme visualisation environment.